Have you ever seen Comic Book Confidential? Awesome late ’80s “history of comics” doc packed with great interviews (Will Eisner, Jack Kirby, Stan Lee, Harvey Pekar, Robert Crumb, Frank Miller, etc…). It also includes some ’50s era PSA-type footage (promoting the Comics Code) featuring a kid reading a horror comic and getting all hopped up and aggro, and eventually turning on this friends. Fantastic stuff! I haven’t, and it sounds great. Will track it down. Was this the PSA? The “boys gone wild” bit starts at around 10:00 and ends around 14:00. 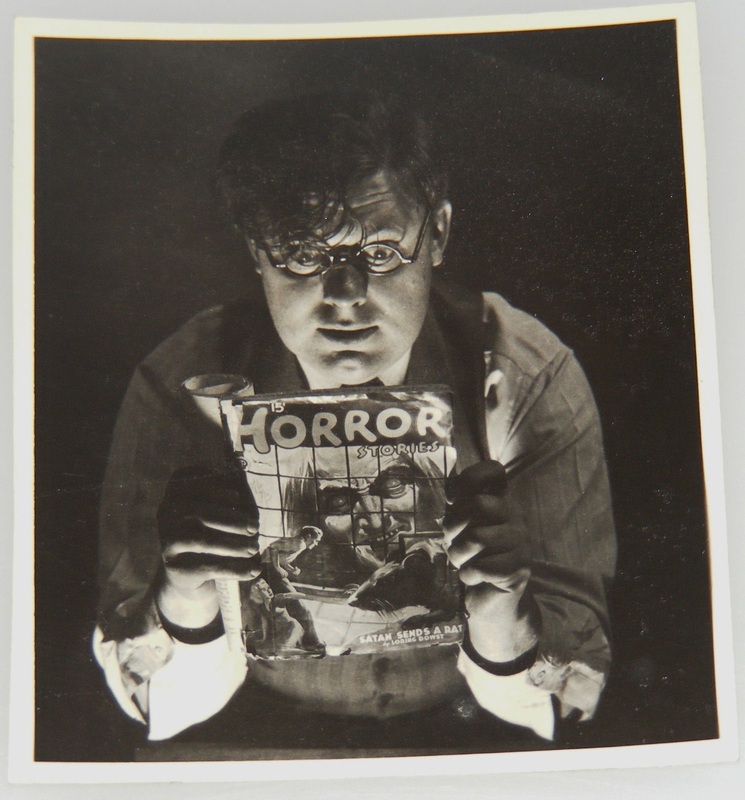 Actually, Horror Stories was a fiction magazine, rather than a comic book. Think of Analog or Isaac Asimov’s that are on magazine stands today. 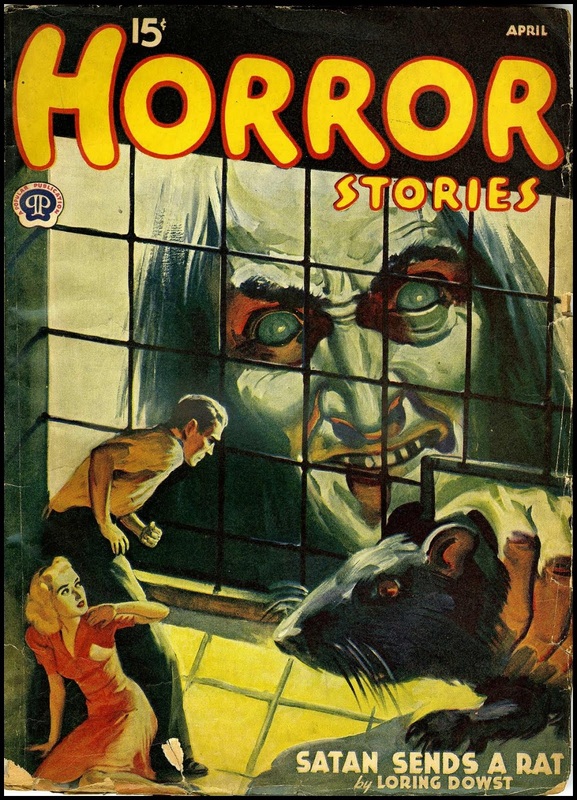 Horror Stories featured short stories and a short novel in each issue, often by some of the top popular-fiction writers of the day. Though it had a few illustrations inside, the stories were not told graphically in any way. I know. It was a pulp in line with Weird Tales. But these pulps heavily influenced EC, nevertheless. I kept the photo in the “kids reading comics” category because it fits in spirit. Loring Dowst… There is almost literally, no end to the names you just never heard of, who appear in these old pulps. And, look at that cover! I’d read that story. It’s nice that so much old, obscure, material is getting digitized and, occasionally, read as audiobooks. I will probably find myself looking around for Loring Dowst. Sounds like a pseudo, but, as a featured name-on-the-cover, even of what I take to be a lesser pulp, I’m thinking Loring was a notable fish, even if in a tiny pond.